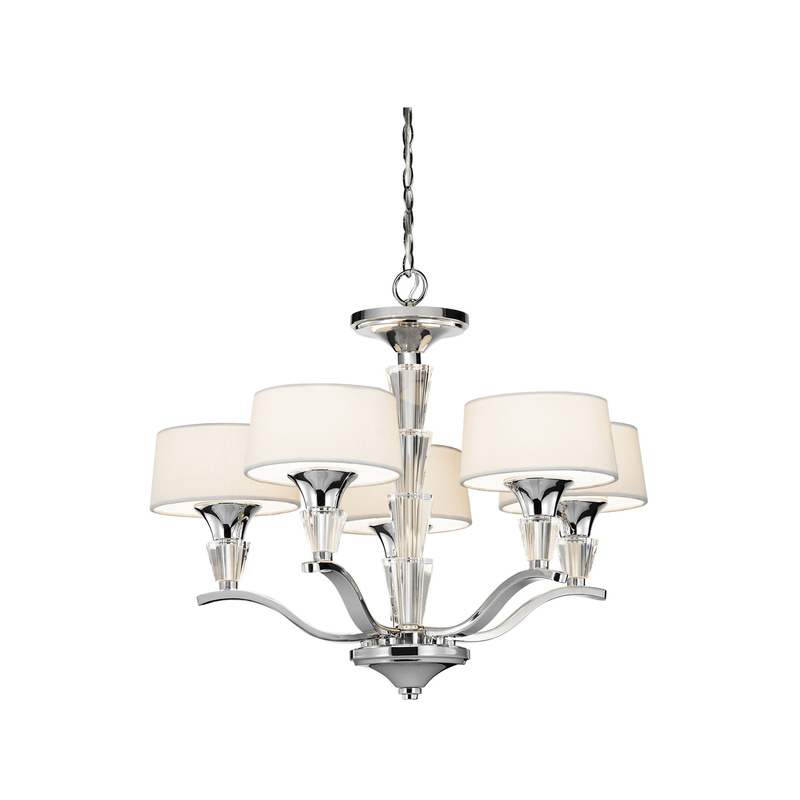 Kichler Crystal Persuasion Collection 5-Light mini chandelier in chrome finish, features steel construction. The satin etched glass panel with 4.5-Inch x 5-Inch x 2.5-Inch white linen shade creates soft light to the surrounding. This chandelier uses five 60-Watt candelabra type T halogen lamps that have voltage rating of 120-Volts. It measures 17-Inch x 13.75-Inch. This chandelier firmly attaches to the wall/ceiling surface using a backplate of size 4.75-Inch Dia. This chandelier comes with 159-Inch lead wire for easy installation.